This entry was posted in Substance Abuse on December 26, 2016 by Baxter Ekern. There is no one definition of family. Different cultures and family systems influence what people define as a family. Belief systems can change over time and therefore family definement varies over time. Families are also emotional, both interacting with each other and on a connective level. With this in mind when treating substance abuse disorders and addictive disorders, family can play a significant role in the therapeutic process. Family has the greatest investment in its recovering member. They are connected by alliance and powerful emotional ties. This is different from support groups or community organizations which are held together by a common goal and are purpose-driven and context-dependant. 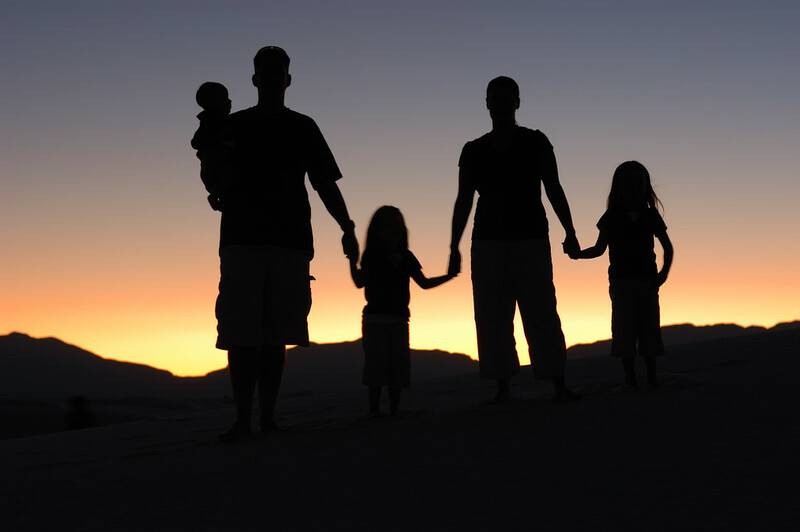 How Family Therapy can Help Families in Addiction Recovery, is that within family therapy, the client defines who the family and which members will be a part of the therapeutic process. Families are nonsummativity, meaning that the family as a whole is greater than and different from individual members. The individuals of a family are interrelated through the process of circular causality, which means that if one family member changes their behavior the others will change as a consequence. This shows up with ‘enablers’ during family therapy in addiction recovery. Lastly, every family has a way of communicating, both verbal and nonverbally which is a way of expressing emotion, conflict, affection, etc., . Families also work to maintain homeostasis, or keep balance and order. Family therapy works to share the belief of homeostasis within the family, and works to create positive changes, and in turn in changes all parts of the family. One purpose of family therapy is to first identify the families strengths and resources to live substance free. It secondly works to decrease the impact of the addiction on the family as a whole. It is important to note that family therapy differs from family-involved therapy where the family is educated about the relationship patterns and addiction personalities, development, and maintenance. 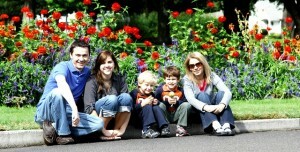 In family therapy, the family, as whole, is the primary therapy focus. Being careful when seeking family therapy to ensure that it is not solely psychoeducation is important during this process. Within addiction recovery there are four therapy models that can be used for treatment and interventions. First there is the Family Disease Model that views addiction as a disease that affects the family as a whole. The Family Systems Model views the family as being organized by their interactions around the addiction. The family adapts to the addict to maintain balance and this therapy works on identifying maladaptive behaviors and patterns to maintain homeostasis in a healthy way within the family. Cognitive Behavioral Approaches is the third type of therapy used within addiction recovery. This looks at maladaptive behaviors and works to behaviorally change the patterns of interaction that trigger addictive behaviors. It also identifies unhealthy communication and negative thought patterns to strengthen coping skills for the family. Lastly, Multidimensional Family Therapy utilizes several techniques to shift the family relationships through thoughts, emotions, and environment [1,3]. Within family therapy and addiction, there are several goals for the family which provide awareness for the family on needs, shifting balance (or homeostasis), protecting the family from addiction triggers, and improving communication. The family and therapist understand that the family goals will change and adapt throughout the recovery process. It is important in family therapy, if it is to be effective, that the family accepts the therapist who can ensure that all family members feel heard, and accepted, that improved communication is seen, the family structure is organized in a way that there is motivation for change and that the family feels able to make changes. Family therapy with addiction recovery, shares some principles with the 12-Step models, such as viewing addiction in its context and evoking solidarity or a family unit for recovery, being able to share self-confessions and finding support and safety within the family, as well as work on increasing self-esteem, awareness of addictive behaviors, and regaining strength as a family unit . Within the family therapy context, families find improvements in the family life, and increased copings skills both individually and as a unit. Family therapy is applicable across cultures, religions, and community identification. How Family Therapy Can Help Families in Addiction Recovery is through benefits they feel are gained. Benefits include being able to understand the nature and pattern of addiction and how this affects the addicts, and family members behaviors. This can be done through psychoeducation and self-assessment within the therapeutic process. Families members through this process become more aware of family dynamics and where maladaptive behaviors contribute, or enable, the addiction. Families often see an increase in communication, especially where previous to therapy, the family communication may be limited. A crucial benefit to family therapy is regaining trust among members . Dishonesty and hurts are unfortunately a part of the addiction process and loved ones may have unresolved anger that needs to be identified within therapy. Being able to work within the therapeutic process to resolve hurts and begin rebuilding trust is crucial to family cohesion. Establishing and setting boundaries within the family is also a crucial part of family therapy. Research has shown that different forms of family therapy can help the addict and their family stay in treatment, reduce substance use, as well as self-harm behaviors, and improve social function [2, 3]. Overall, family therapy has various ways it provides support to the addict in the recovery process. It can provide a safe, structured, place to members to share emotions, thoughts with each other, and learn how to grow and change together for the positive and addiction free. What has your experience been with family therapy and addiction recovery? What did you find to be the most helpful part?